Scanspeak 12W/4524G00 MidWoofer - £34.90 excl. VAT FREE UK SHIPPING. Scanspeak 12W/4524G00 Mid Woofer - Discovery Range. 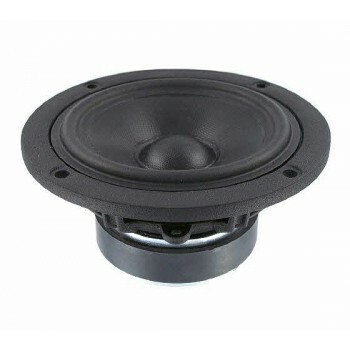 4" Mid Woofer, can also be used as a midrange in 3 way systems. Wide operating frequency range, coated Glass Fibre cone, die cast aluminium chassis ( vented below spider), and a low damping SBR Rubber surround.